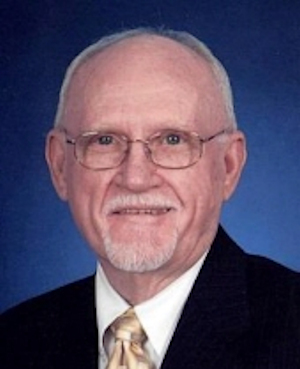 Obituary – Laird, Samuel Lyndal « Perry High School Alumni Association, Inc.
Samuel Lyndal Laird, 90, of Hot Springs Village, Arkansas, went to be with the Lord on May 10, 2015. He was born January 18, 1925 in Pawnee, Oklahoma to Samuel and Emily (Craig) Laird. He was an artist who loved working in the yard. He enjoyed swimming and was a former elder at the Village Church of Christ. Samuel was preceded in death by his parents; and brothers, Paul and Dallas Laird. Survivors include his loving wife of 68 years, Betty Laird; son Theck Laird (Kathryn); daughter Lyndal Lewis (Terry); sister Cheryl Dowling (James); grandchildren Samuel Laird (Nikki), Lindsay Brooks (Travis), Christopher Lewis, Cody Loyd (Richard) and five great-grandchildren. A memorial service will be held 10:00 a.m. Saturday May 23, 2015 at Village Church of Christ with Bro. David Tappe and Bro. Jim Gardner officiating. In lieu of flowers, donations may be made to the Cystic Fibrosis Foundation.